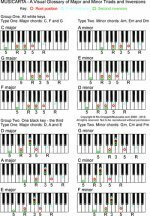 This Blues Piano Lessons page is your portal to all things twelve-bar at Musicarta! And please note that the term ‘blues piano’ is often used loosely as a cover term for all twelve-bar genres, many a lot livelier than the term ‘blues’ suggests – and many not 12 bars long either! 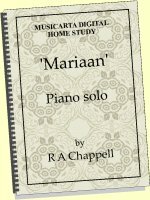 Musicarta has distilled decades of playing twelve-bar music and giving blues piano lessons to put together a digital home study package guaranteed to give you a fast, painless and open-ended introduction to twelve-bar piano styles. Looking for the Moving Pair riff? 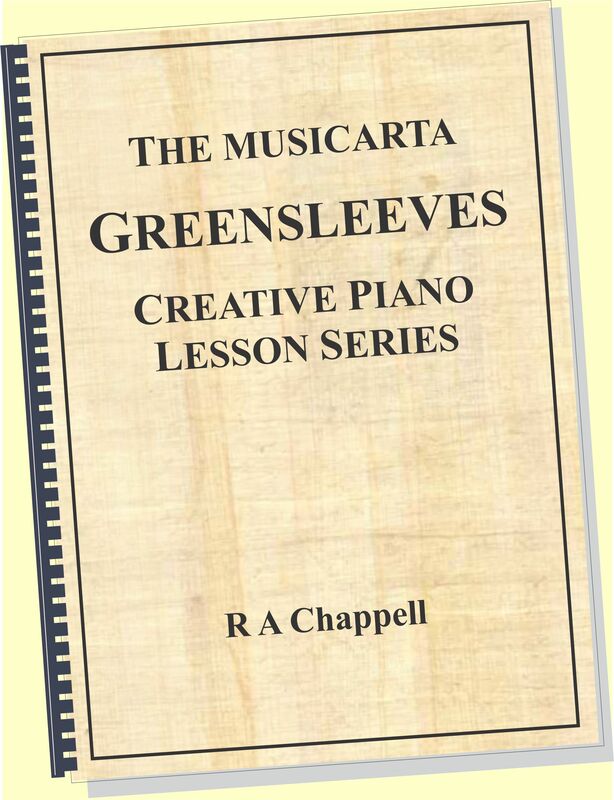 The Moving Pair riff series of lessons - immensely popular here at Musicarta - now forms Part One of the Twelve-bar Piano Styles workbook. Click through here for a whistle-stop tour. One hundred and thirty graphic-rich, example-dripping pages! Look at this flat-plan screen-shot. It’s the very opposite of a dry, theoretical text-book or collection of historical transcriptions. 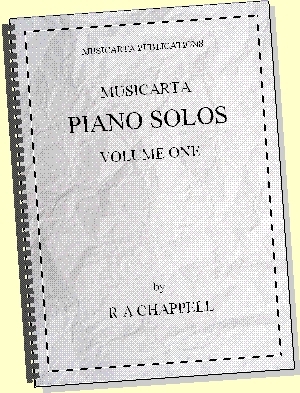 Musicarta’s unique web-supported learning model lets you listen to audio of all the musical examples on ‘members-only’ web-based duplicates of your study modules, accessed via a password-protected members’ portal page. – and the MidiPiano virtual keyboard to play them on. 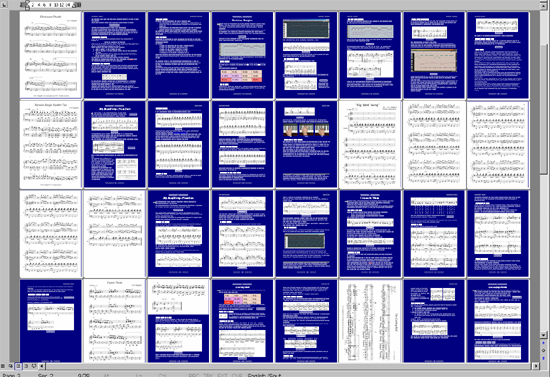 MidiPiano turns every MIDI file into a training video. That’s 200 + potential training videos with pause/repeat/speed control. You cannot fail to learn! 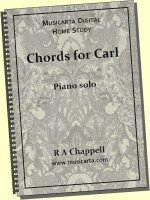 Twelve-bar music is pretty much ‘aural tradition’ hear it-play it music – but that doesn’t mean you’re not entitled to the dots if you want them – laid out to professional standard and print-ready for your music stand. There’s nothing quite like watching somebody else do it to press that ‘can do’ button! 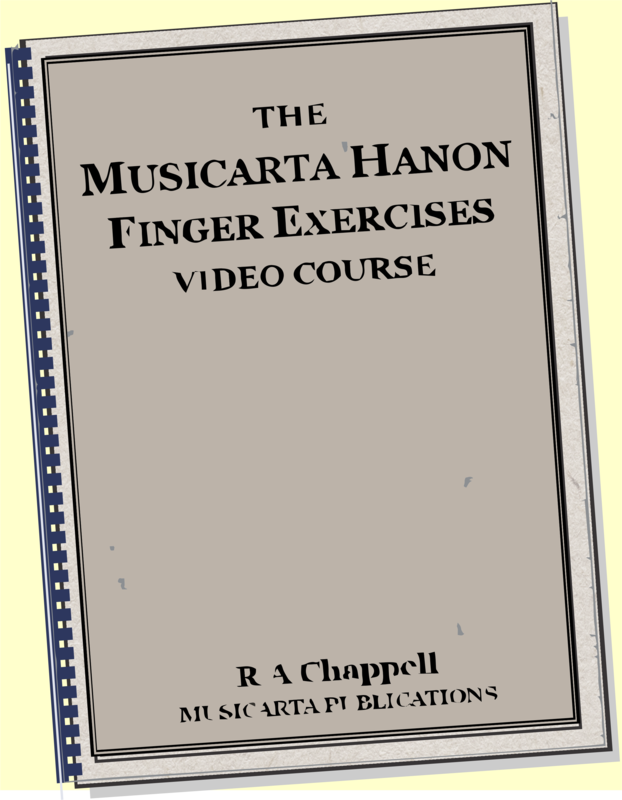 You can see a part of these videos on the Mister Musicarta YouTube Twelve-bar playlist – but what you don’t see there is the simultaneous virtual keyboard playback showing exactly which keys to play and how to get your hands there. That’s what you get in the teaching videos on the module web pages – just like a personal one-on-one lesson! 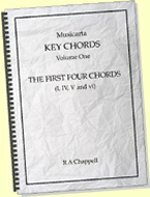 Straight blues and boogie aside, twelve-bar form and styles run like a thread through popular music and are an essential component of any popular-styles keyboard player’s bag of tricks. 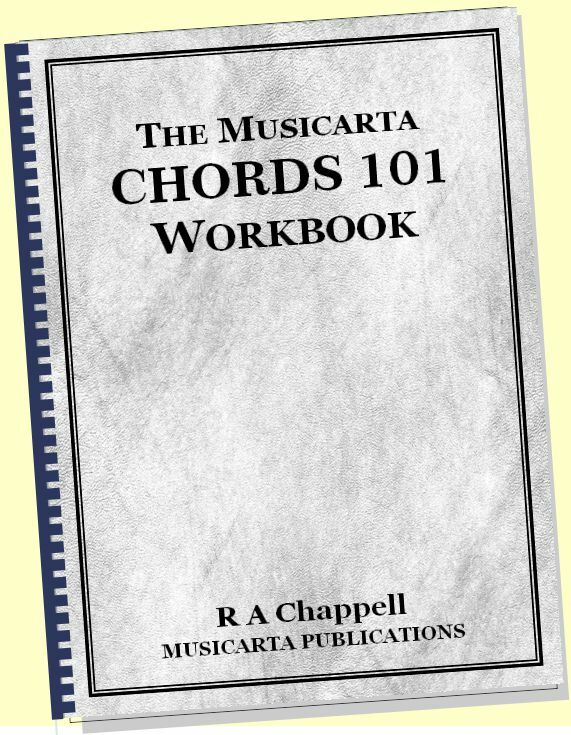 The twelve-bar is a perennial musical meeting place, and the Musicarta Twelve-bar Piano Styles workbook will ensure you’re never short of an idea or two of your own! Twelve-bar is timeless. It may go out of fashion for a while, but it’s never out of date. The keyboard players who can muster any kind of solo twelve-bar performance will tell you there’s no surer way of getting your musical mojo working than a dozen or so choruses of lively boogie! Mister Musicarta certainly doesn’t intend giving up twelve-bar music any time soon – and in fact has a healthy backlog of un-released performances and lessons ready to drip-feed the lucky people who ‘sign up for the course’. Congratulations! You’re a blues-and-boogie player! Click through to sample content page two here! New material is being posted on Musicarta all the time - and the blues-and-boogie zone is in for a big shake-up! Get the RSS feed (button LH col) or bookmark the Musicarta blog page and check in regularly to read the updates. 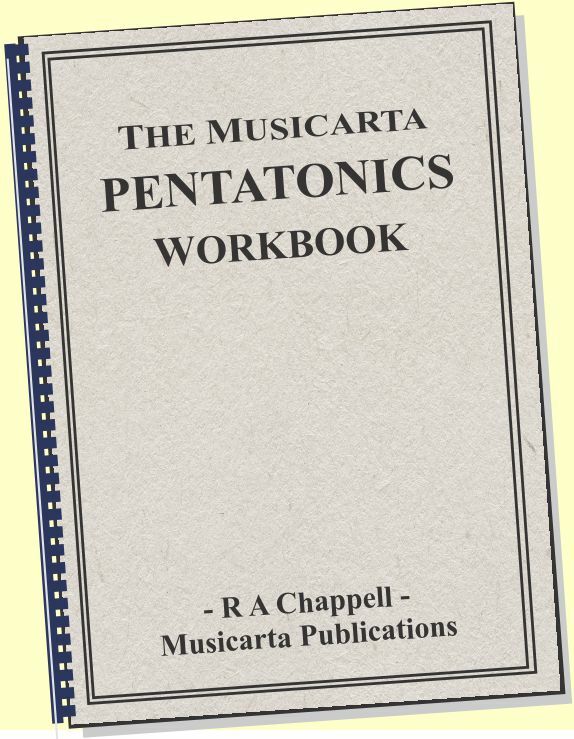 Finally, subscribe to the Musicarta Newsletter (below) for the occasional news round-up - and DISCOUNT CODES for Musicarta's exciting digital home-study publications. You'd be crazy not to!